Still Life examines the profound opportunity inherent in authentic connection. Through visceral movement, musical landscape and art installation, the artists seek to discover how we might inspire each other in the face of poignant loss. How can we honor the narratives of those who have loved and lived before us while seeking out our own truths? Our Women Before Us is a collective composed of Megan Pinto (playwright and poet), Danielle Muzina (painter and poet), Sonja Petermann (printmaker and dancer) and Kathleen Dalton (choreographer). The collective teaches transdisciplinary arts workshops to college students and creates immersive fine art and performance installation projects. 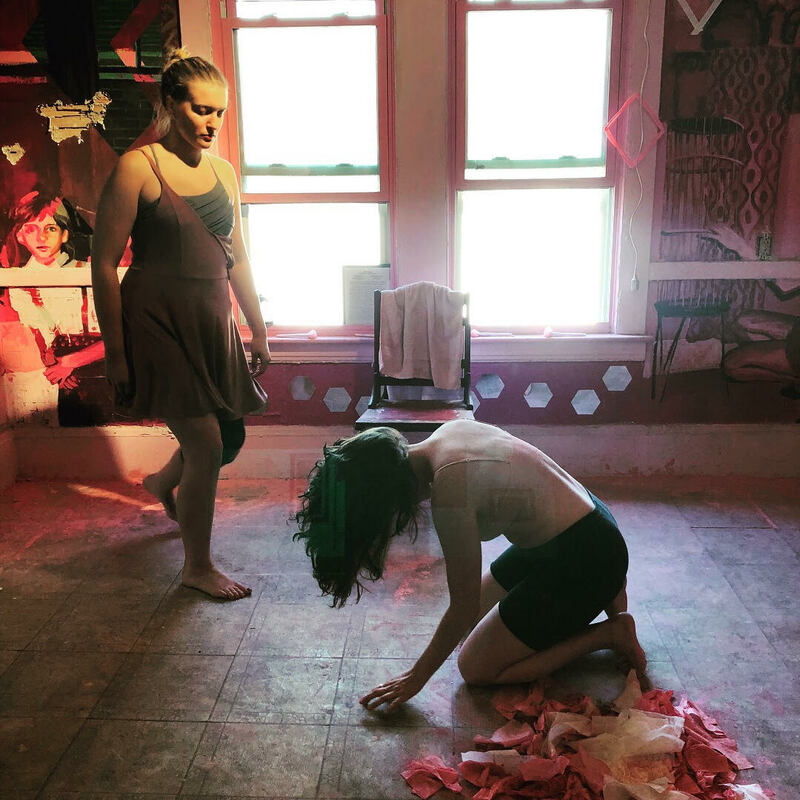 Most recently, the collective created an exhibit for Cleveland, Ohio’s Rooms to Let Festival and collaborated to produce Pinto’s play ‘Winter In Eden’ which was seen at Dixon Place this past May.